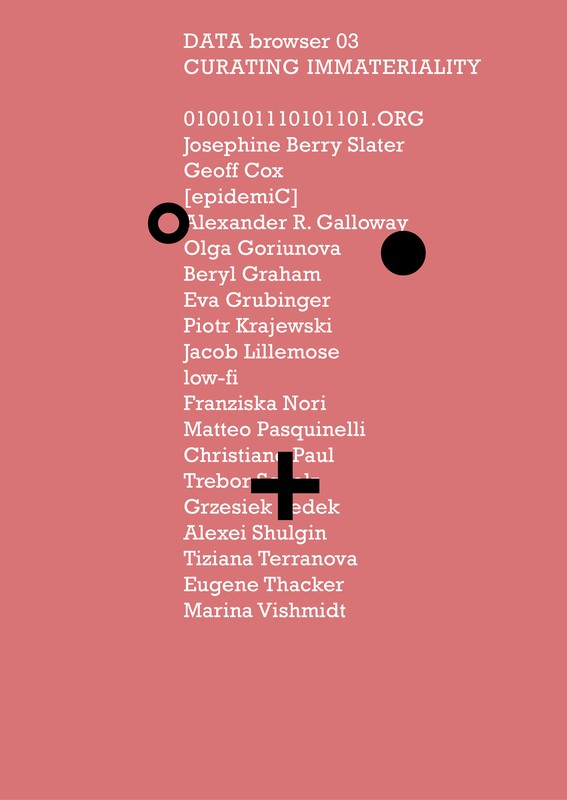 The site of curatorial production has been expanded to include the space of the Internet and the focus of curatorial attention has been extended from the object to processes to dynamic network systems. As a result, curatorial work has become more widely distributed between multiple agents, including technological networks and software. This upgraded 'operating system' of art presents new possibilities of online curating that is collective and distributed - even to the extreme of a self-organising system that curates itself. The curator is part of this entire system but not central to it. The subtitle of the book makes reference to the essay 'The Work of Culture in the Age of Cybernetic Systems' (1988), in which Bill Nichols considered how cybernetics transformed cultural production. He emphasised the shift from mechanical reproduction (symbolised by the camera) to that of cybernetic systems (symbolised by the computer) in relation to the political economy, and pointed to contradictory tendencies inherent in these systems: 'the negative, currently dominant, tendency toward control, and the positive, more latent potential toward collectivity'. The book continues this general line of inquiry in relation to curating, and extends it by considering how power relations and control are expressed in the context of network systems and immateriality. In relation to network systems, the emphasis remains on the democratic potential of technological change but also the emergence of what appears as more intensive forms of control. Can the same be said of curating in the context of distributed forms? If so, what does this imply for software curating beyond the rhetoric of free software and open systems?